When it comes to baby gear, I'm not one for extra. I have my tried and true items that we swear by, and I try to keep things pretty minimal. Unnecessary products complicate something so simple and natural as babyhood! Registering for Milo, I had zero idea what I would actually use. As we registered the second time for Otto, I had a few items that had saved my life with Milo that I registered for and you'd never guess it but it turns out that babies are completely different. Who knew? With Milo, we used a lot more bottles and he was not very interested in solid food. He was crawling at 4 months and walking at 10. Otto on the other hand never takes a bottle and loves solid food (not even purees anymore). Otto at 9.5 months just started scooting and I have a feeling we've got a good amount of time before walking happens! 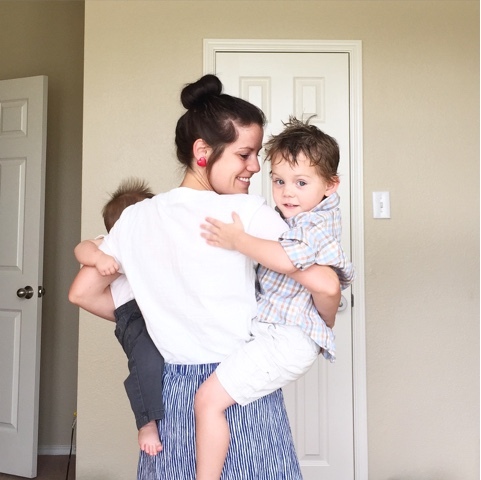 Their sleep habits are different, their babywearing preferences are different, and juggling a baby and a toddler at once looks a lot different than just one baby! I wish I'd been more aware about what I would actually use with both boys, and also what was worth spending some decent money on. We've tried to do baby gear on the cheap for the most part, but I've gone through enough diaper bags, fumbled with enough awful car seat buckles, and run with my beloved jogger enough to know that some items are absolutely worth the money. So what's a momma to do when it comes to her baby registry? Enter Gugu Guru. This is a service that hand picks registry items for you based on your personal preferences. Further, the Gugu Guru Concierge service uses a personal shopper to curate a specific registry for you based solely upon your needs and what you love. Talk about a life saver! There are a million and one brands and variations for everything "baby", and I've read enough Amazon reviews to make your head spin. My personal favorite aspect of the Gugu Guru registry is that they specifically select high quality, trusted brands while offering products at various price points. Until you've actually used a product in your own personal life for you own personal baby, you never quite know what you will or won't need and love about it. With Gugu Guru, you can trust that you're receiving the best suggestions for you. With Concierge, you can rest assured that what you're getting will fit your needs and preferences. 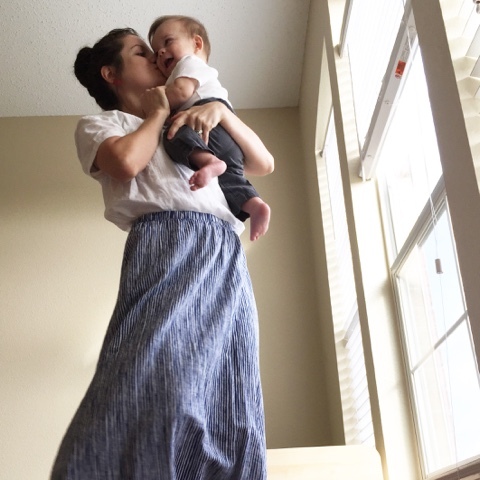 Without the headache of unnecessary items or shotty ones you actually need to function and find yourself replacing time and again, you're free to love on your baby, which is the whole point of this whole motherhood thing! As with everything in motherhood, your own personal intuition is your best guide. You'll figure out how you and your baby want to sleep, eat, and play. And using products best suited for your personal parenting style will make life all the more enjoyable and sweet. Be sure to check out Gugu Guru and Gugu Guru Concierge to make your baby registry the perfect fit! Awww thanks Keila! We love you!! Thank you Danielle for this great review!